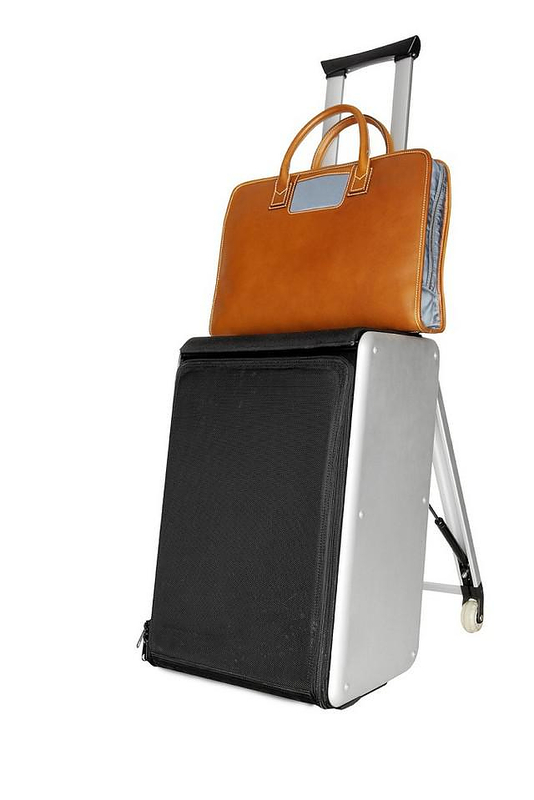 HomeBlogFashion & StyleTrip Suitcase that Turns into a Chair by Travelteq. 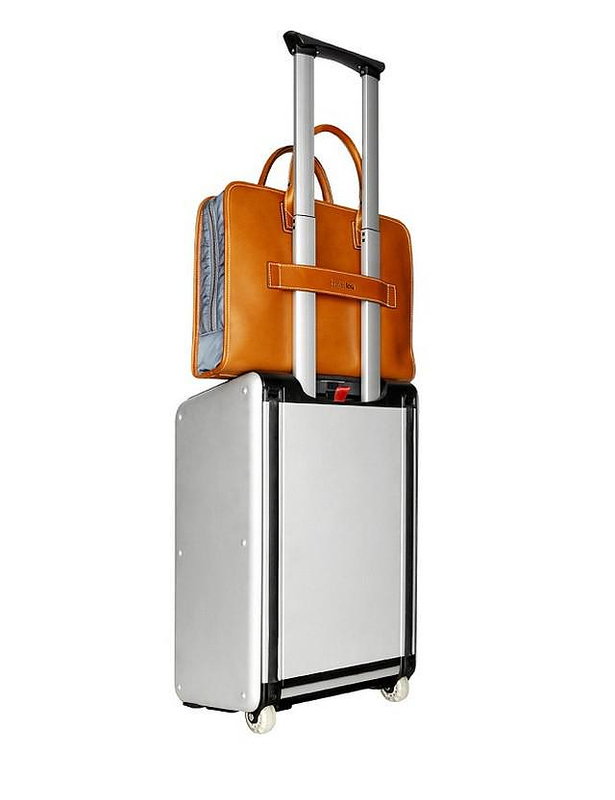 Amsterdam based Travelteq has aimed to design and construct the ultimate cabin suitcase. 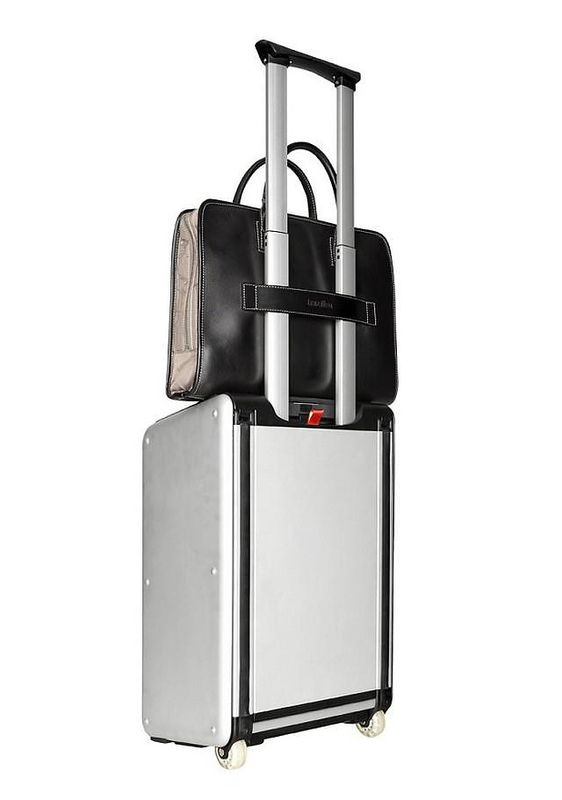 Impeccable design, high functionality and innovative features were put together in a breakthrough result: the Trip suitcase. 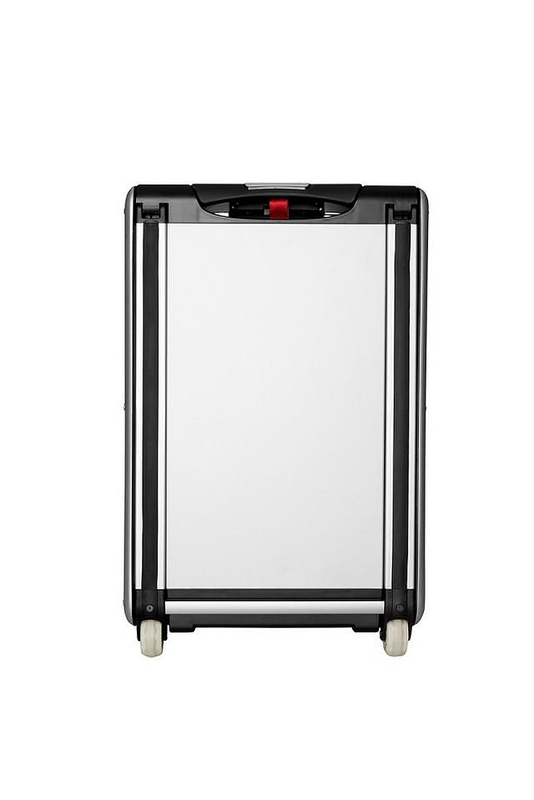 The basic features of the Trip suitcase are three. 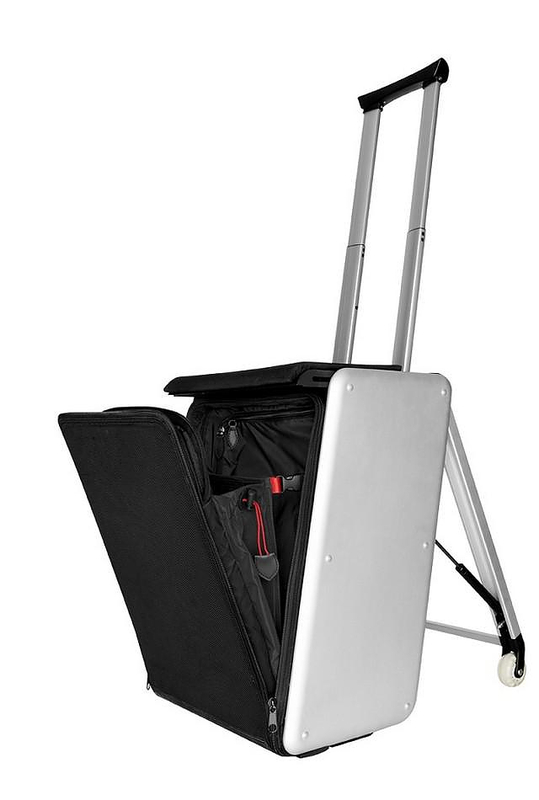 First, the Trip suitcase features an incorporated USB hub to charge mobile appliances like cell phones, MP3 players and photo cameras. Second, it can be equipped with speakers for you to listen to your favorite music everywhere, in your hotel room for example. 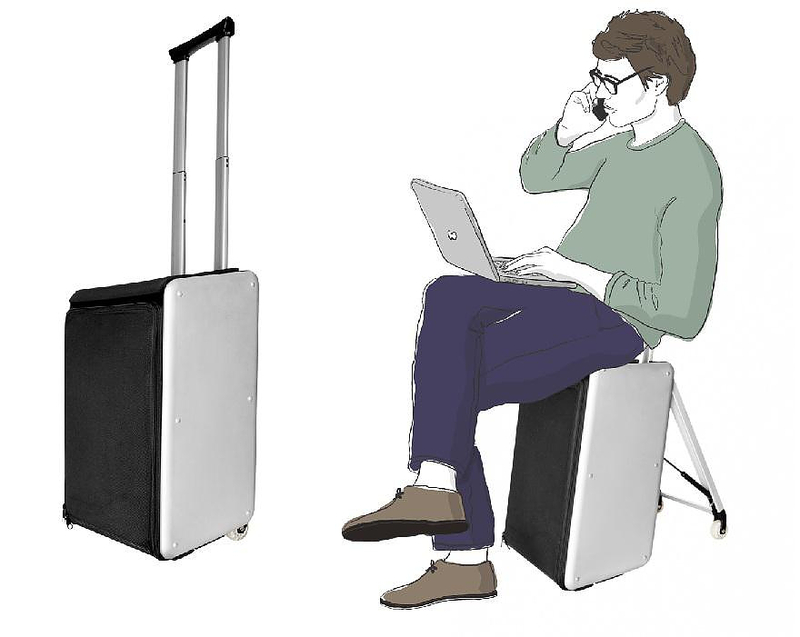 And last, the Trip suitcase turns itself into a chair for you to sit while waiting at the airport and train stations. 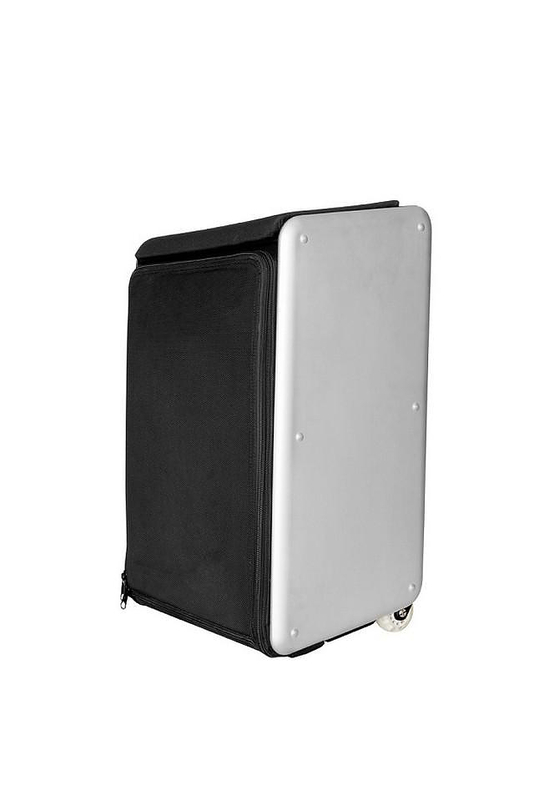 The back wheels of the suitcase extend for support and the upper part, which is made of soft material, unfolds to form a steady seat that can support up to 150 kg in weight. 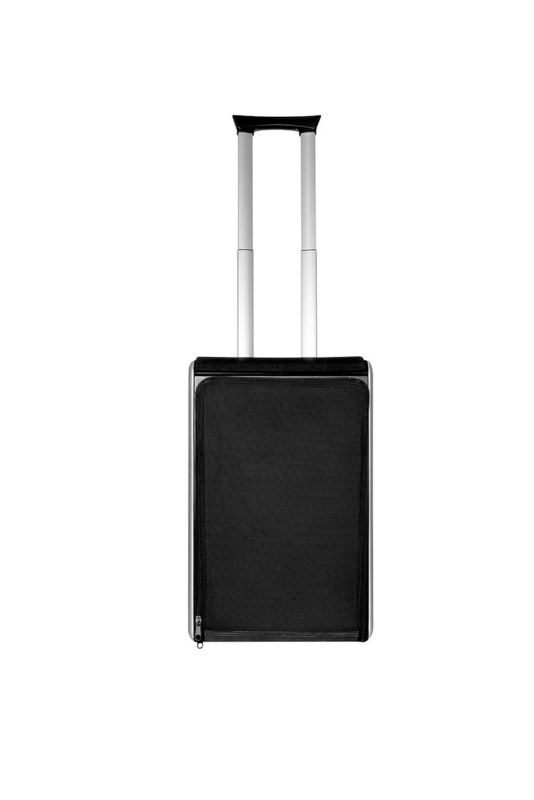 The dimensions of the Trip suitcase are 55 x 25 x 35 cm, within the limits for in-cabin luggage. 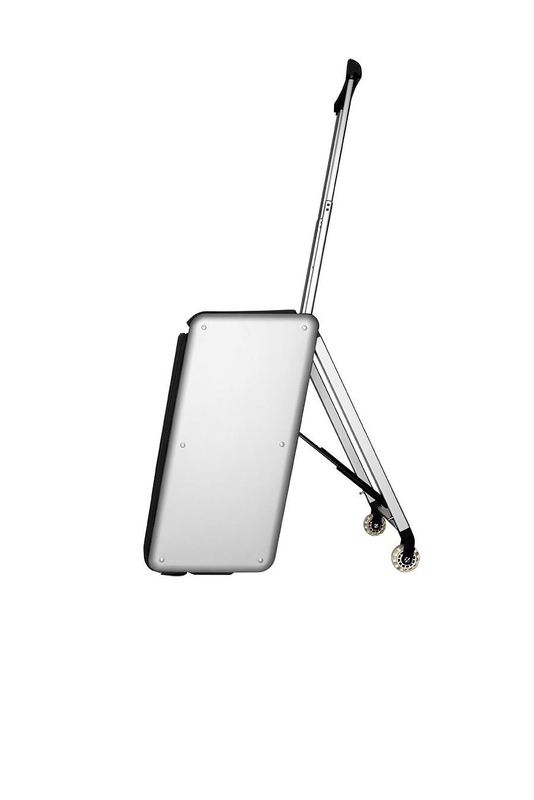 Its design is clean and minimalistic with brushed aluminum high tech details. 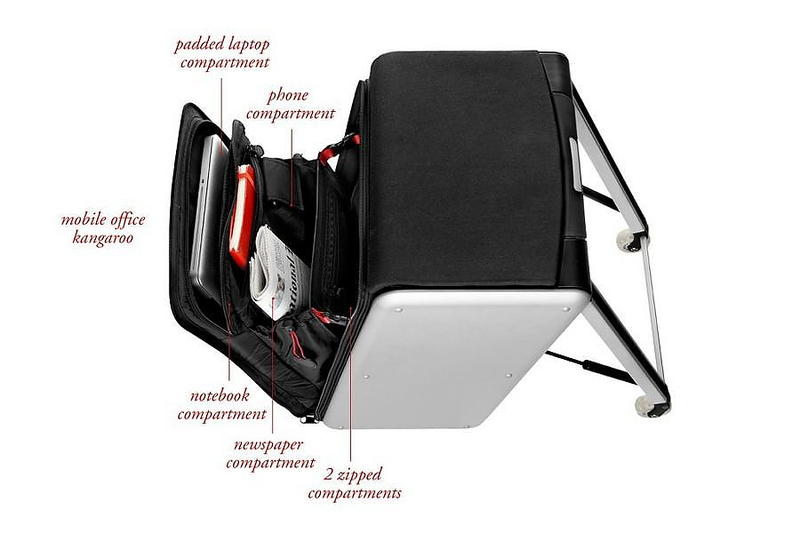 The front part features compartments for documents, laptop, pens, cell phones and basically whatever a traveler needs. 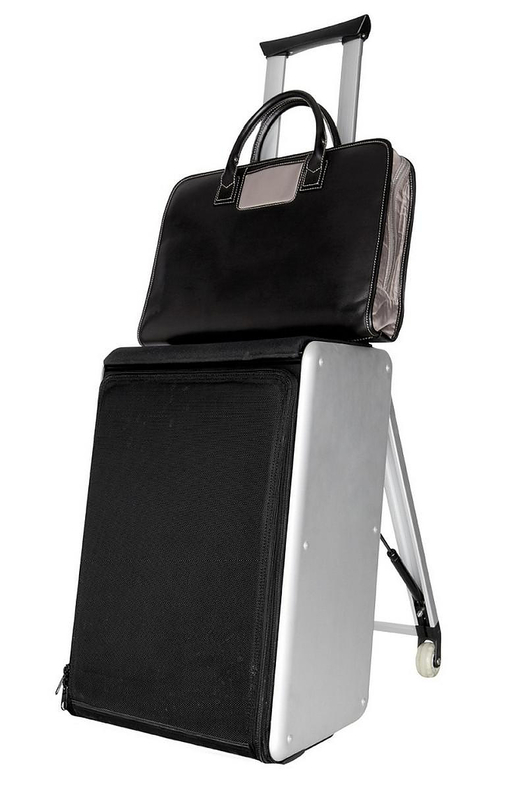 The front part is separate from the main suitcase for immediate and easy access to its contents. 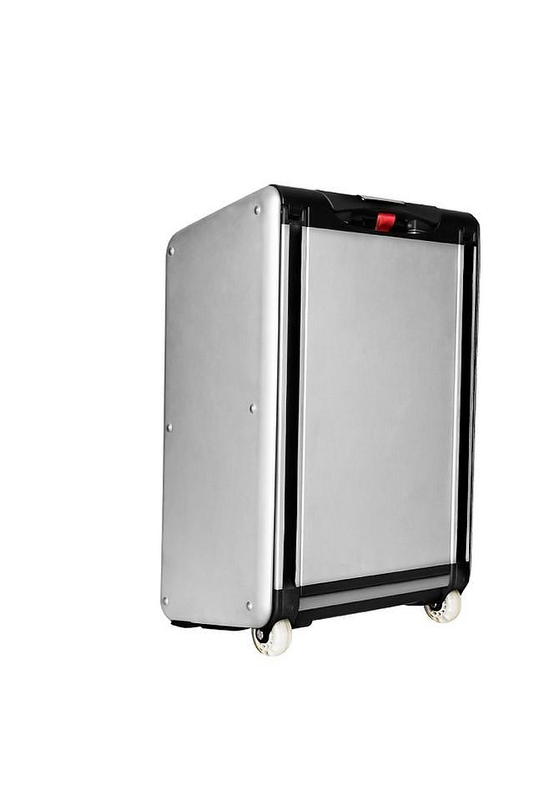 The Trip suitcase is made of aluminum with a honeycomb structure, enhanced with ABS plastic, a technology used in aeronautics for resistance and minimum weight. The best materials have been chosen to protect the most vulnerable places. 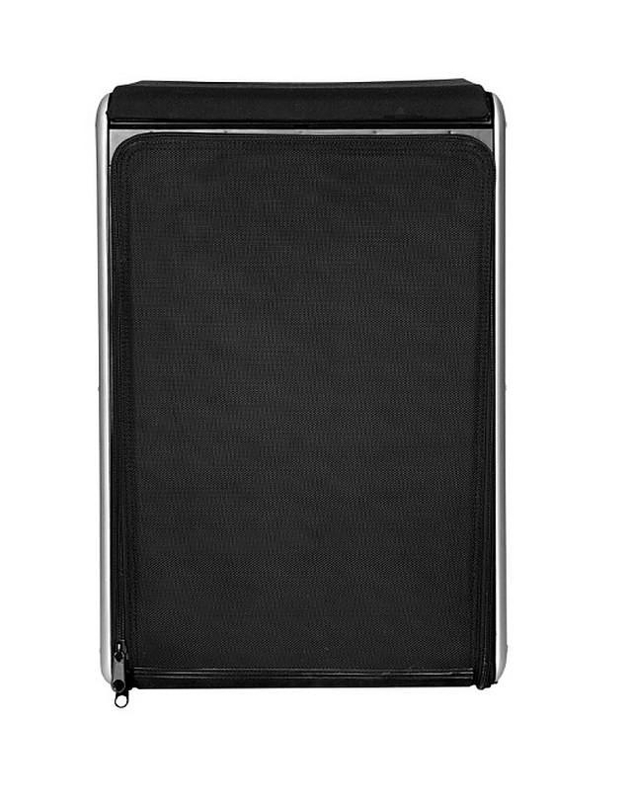 The wheels have skateboarding credentials to resist percussion and the front part is made of ballistic resistant plastic. 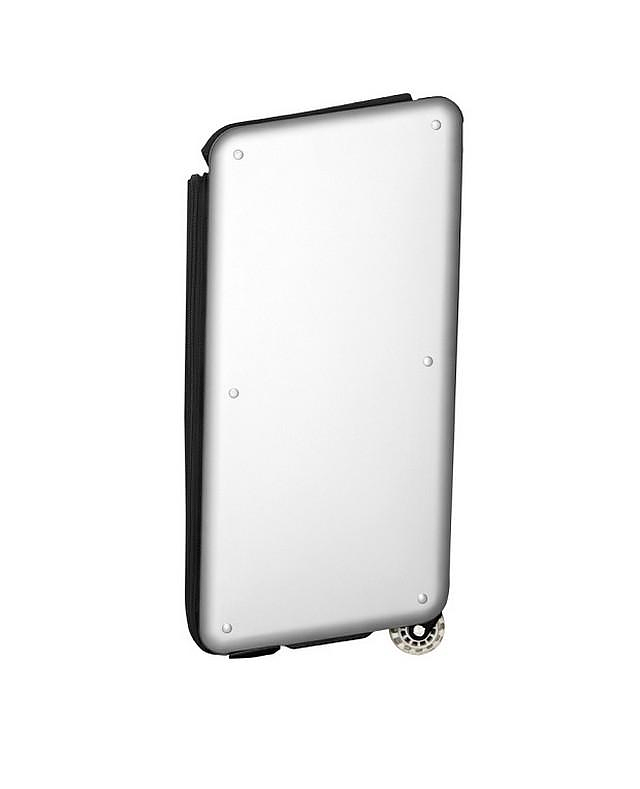 Even if you manage to rip it, it is very easily replaceable. 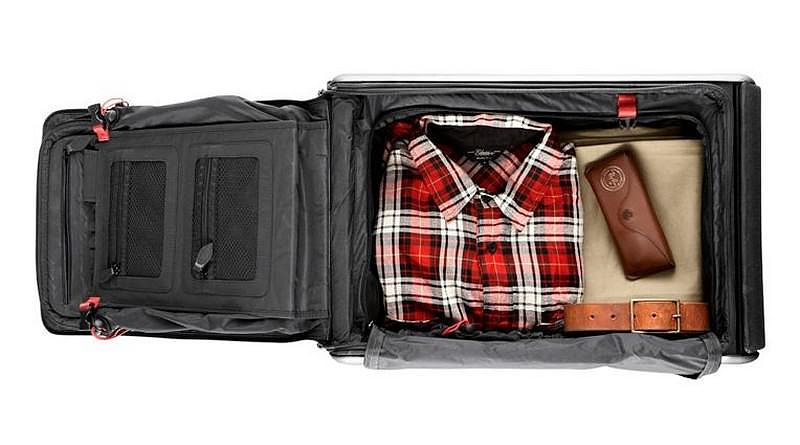 Travelteq’s Trip suitcase combines whatever a modern traveler needs, and even more. 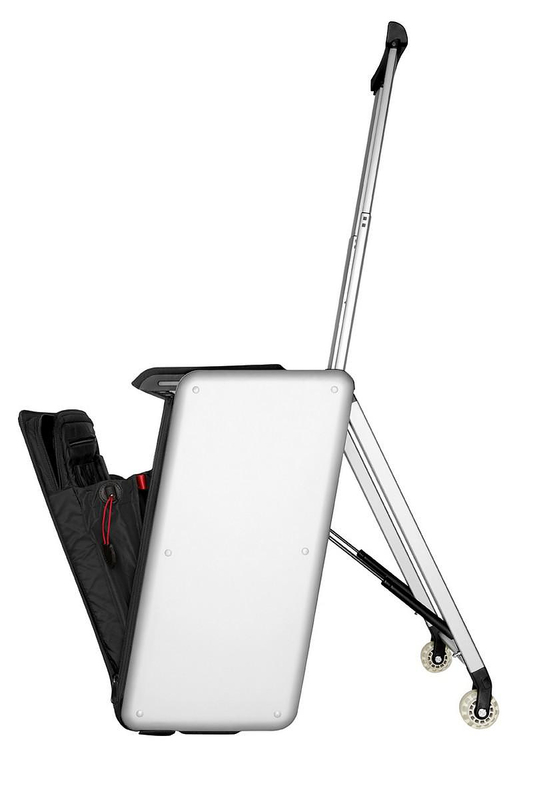 From every aspect, it is a uniquely functional travel accessory.